Are old book values bogging down canola meal in your rations? 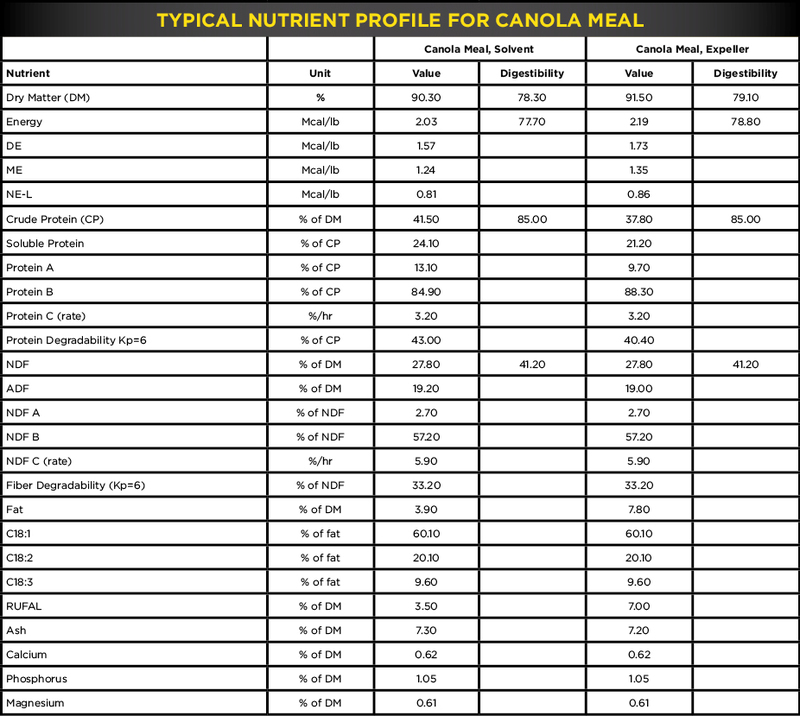 Here’s the place to find the most up-to-date values for today’s canola meal. In addition to the common nutrient value profile below, much more information is available and summarized in The Canola Meal Feeding Guide for ruminant and monogastric animals. For ruminants, a spreadsheet with common model values is available for download. As well, we have library files for the AMTS and NDS program, along AMTS guidelines and NDS guidelines. General values are available for ruminants in the form of a downloadable PDF file, that should be helpful for formulation programs that may be proprietary.